More motorists have been convicted of drink-driving and driving under the influence of drugs as Sussex Police continues their summer crackdown, Operation Dragonfly. David Stalder, 51, unemployed, of Bilsham Road, Yapton, was arrested in Oldlands Way, Bognor Regis, on 20 June and charged with driving with 84mcg of alcohol per 100ml of breath in his system. At Worthing Magistrates’ Court on July 12 he was disqualified from driving for 21 months. He was also ordered to pay a £120 fine, £85 costs and a £30 victim surcharge. Marie Lovett, 38, a cleaner, of Fitzalan Road, Littlehampton, was arrested in King Street, Arundel, on June 22 and charged with failing to provide a specimen for analysis. She pleaded guilty at Worthing Magistrates’ Court on July 14 and was disqualified from driving for 16 months. She was also ordered to pay a £150 fine, £85 costs and a £30 victim surcharge. Richard Smyth, 53, a painter, of Heene Road, Worthing, was arrested in Providence Terrace, Worthing, on June 22 and charged with driving with 70mcg of alcohol per 100ml of breath in his system. He pleaded guilty at Worthing Magistrates’ Court on July 14 and was disqualified from driving for 36 months. He was also ordered to pay a £250 fine, £85 costs and a £30 victim surcharge. Samuel Henderson, 72, a teacher, of Silver Street, Bristol, was arrested in Church Walk, Worthing, on June 23 and charged with driving with 42mcg of alcohol per 100ml of breath in his system. He pleaded guilty at Worthing Magistrates’ Court on July 14 and was disqualified from driving for 12 months. He was also ordered to pay a £600 fine, £85 costs and a £60 victim surcharge. Michael Mandy, 66, an engineer, of Cove Road, Rustington, was arrested on the A259 at Bognor Regis on June 26 and charged with failing to provide a specimen for analysis. 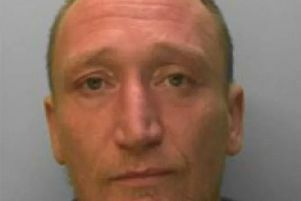 He pleaded guilty at Worthing Magistrates’ Court on July 19 and was disqualified from driving for 17 months. He was also ordered to pay a £120 fine, £85 costs and a £30 victim surcharge. Mitchell Hand, 23, a publican, of St Floras Road, Littlehampton, was arrested on the A284 at Arundel on June 26 and charged with driving with 46mcg of alcohol per 100ml of breath in his system. He pleaded guilty at Worthing Magistrates’ Court on July 19 and was disqualified from driving for 12 months. He was also ordered to pay a £180 fine, £85 costs and a £30 victim surcharge. Marianne Whittington, 47, unemployed, of Frederick Street, Luton, Bedfordshire, was arrested in The Broadway, Lancing, on June 27 and charged with failing to provide a specimen for analysis while in charge of a motor vehicle. She pleaded guilty at Worthing Magistrates’ Court on July 19 and received 10 penalty points on her licence. She was also ordered to pay a £80 fine, £85 costs and a £30 victim surcharge. David Ramsay, 28, a labourer, of Ashdown Road, Worthing, was arrested in Church Walk, Worthing, on July 2 and charged with driving with 58mcg of alcohol per 100ml of breath in his system. He pleaded guilty at Worthing Magistrates’ Court on July 19 and was disqualified from driving for 12 months. He was also ordered to pay a £250 fine, £85 costs and a £30 victim surcharge. To date, a total of 71 motorists have now been convicted as part of Operation Dragonfly, Surrey and Sussex Police’s summer crackdown on drink and drug-drivers, which ran from June 6 to July 10. People in Sussex can text officers on 65999 with the details of people they suspect of drink or drug driving or visit www.operationcrackdown.co.uk. Members of the public can also contact the independent charity Crimestoppers anonymously on 0800 555 111 (www.crimestoppers-uk.org). To keep up to date with officers looking for drink or drug drivers, follow #opdragonfly on Twitter. If you know someone is driving while over the limit or after taking drugs call 999.